Allow your cat’s style to be unique, just like your home! 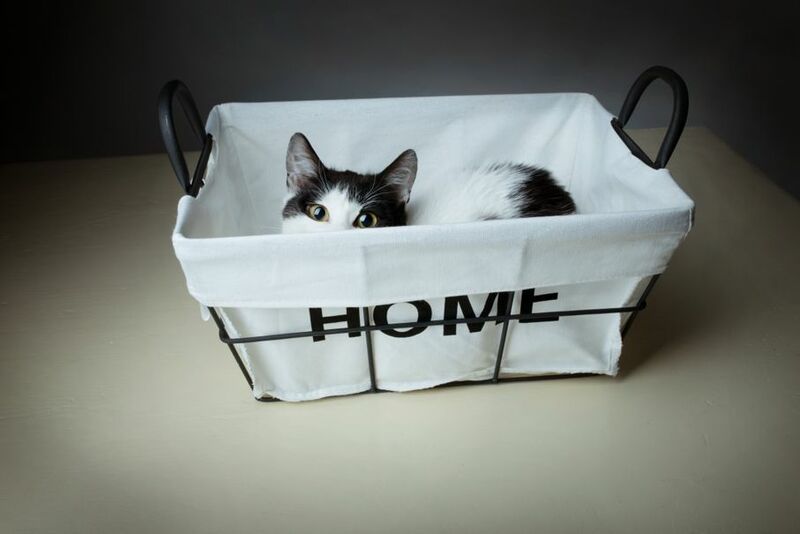 For cat-lovers, your home isn’t only a space for you to enjoy, but for your feline companion as well. It’s important to incorporate design elements into your home which can improve its overall appearance while also providing a comfortable or entertaining atmosphere for the love (or loves) of your life. Certain décor, while stylish, can prove dangerous or even poisonous to your cat. Design pieces that incorporate small pieces, like stones or string, can be ingested by your cat and cause choking or internal damage. Glass pieces like vases or bowls can easily be swatted and subsequently shattered by your cat, leaving broken glass and the threat of surface wounds, or worse. Even common house plants, such as lilies and tulips, are poisonous to cats. Follow these five tips to keep your tabby happy, your hands free from scratches, and prevent emergency trips to the vet. Greenery and flowers can liven up your home and bring nature indoors, but certain plants can be beneficial to both the aesthetic of your home and the health of your cat. 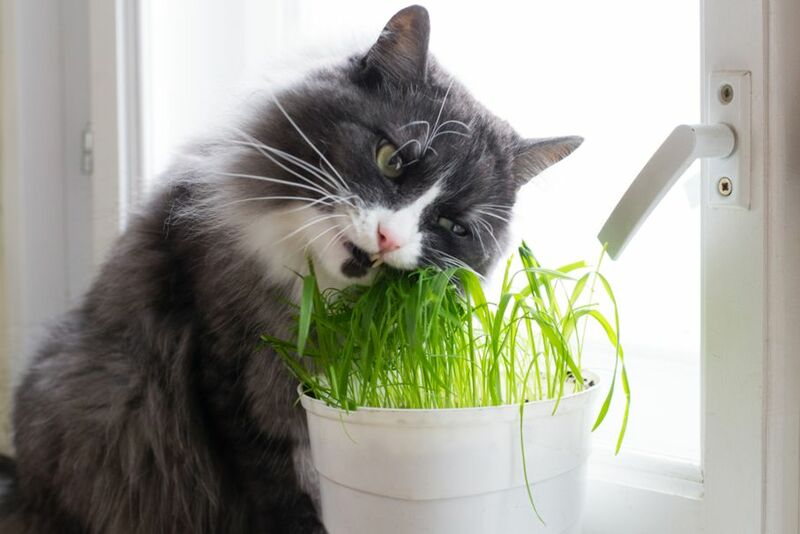 Edible grass can be purchased at many pet retailers, and it improves your cat’s digestion and mood, while also adding a rustic element to your home’s style. Similarly, potted plants, such as ferns, are a non-poisonous option you can employ to spruce up your home without compromising the health of your kitty. Allow your cat’s style to be unique, just like your home! 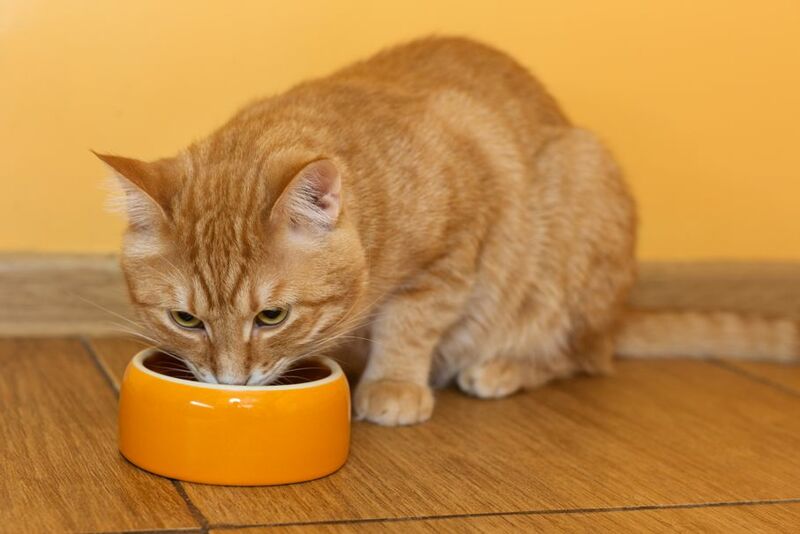 Feeding dishes don’t have to be covered in paw print patterns or smiling fish. Choose a bowl that matches the color scheme of your kitchen to achieve an overall flow and cohesion to your design. You can also customize your cat dishes with their name or with a print that suits your space. Shelving units can add storage to your home, or create a modern, geometric appearance. However, they can also be used to create a climbing system for your cat to encourage exercise and exploration. 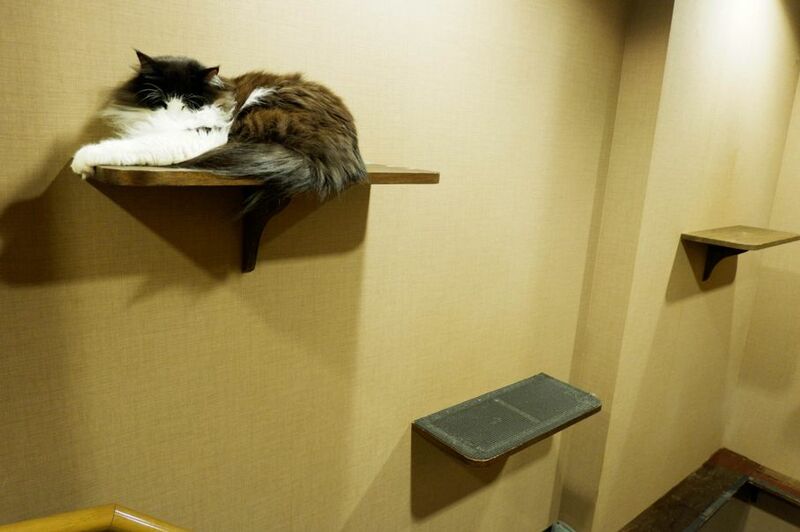 Stacking your shelving units on the wall in a distinctive, staircase structure can allow your cat to safely climb or have an elevated surface to take a nap. Careful planning and design can transform your bookshelves or storage boxes into a kitty-friendly, wall-bound walkways that improve cat health and socialization. 4. Scratching Posts — Lots! It’s important that your cats have a way to groom their claws and stretch out, however, scratching posts and cat-scratchers no longer have to be an eyesore. Recent designs have transformed the telltale, roped posts into sleek, modern pieces of décor. Scratching posts can come in a variety of patterns and shapes, whether they be straight lines or abstract curves, to best suit the theme of your home and act like pieces of art. Plus, they will discourage your cat from sharpening their nails against your carpets and couches. 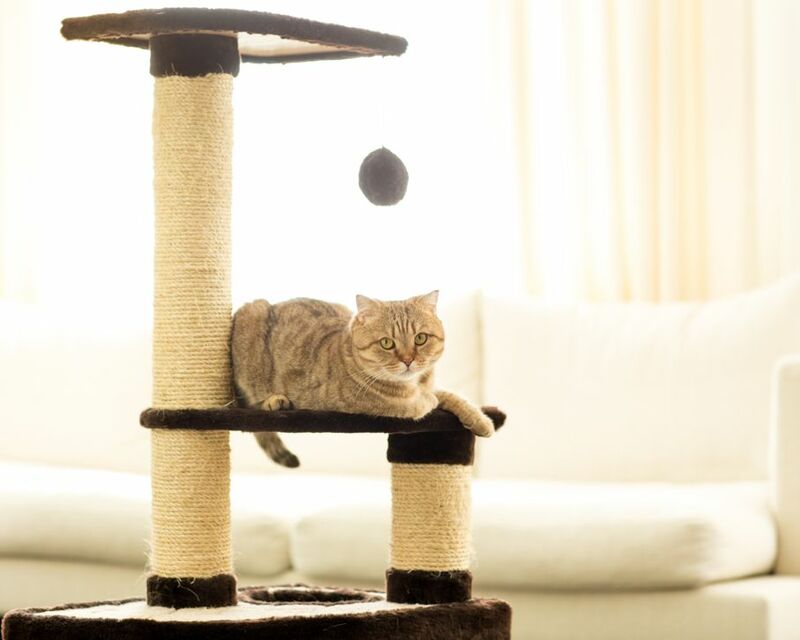 Multiple scratching posts placed throughout the house will ensure that your furniture remains scratch-free. Family photos transform your space into a home. Why stop at graduation, wedding, and vacation photos when you can frame your cat’s handsome profile? 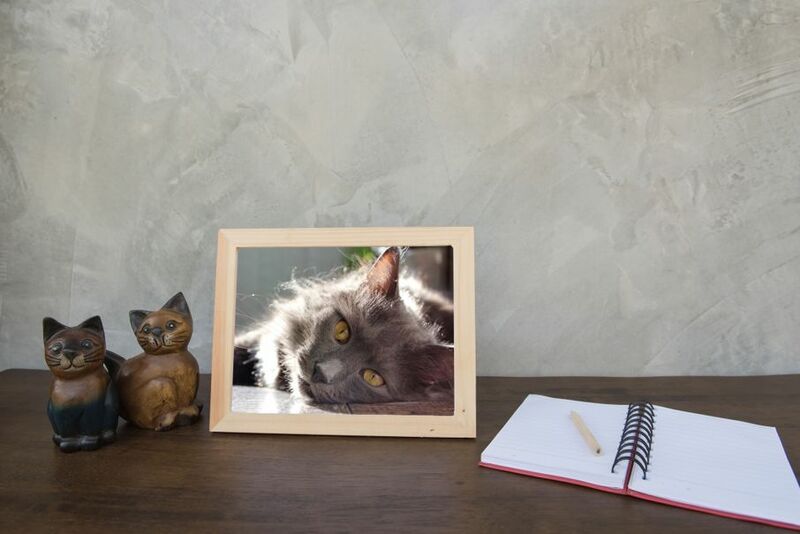 While photos don’t pose direct health benefits to your cats, they do produce a constant reminder of their presence, which keeps them close to your heart. Another benefit of using photography in your design is the added element of framing. Decorative frames bring life into plain walls and attract the eye. What is your favorite way to design your home while keeping your cats in mind?